Carey Mulligan and Jake Gyllenhaal will star in the upcoming 'Wildlife,' based on Richard Ford's classic novel. Paul Dano will bring Richard Ford’s American classic Wildlife to the screen, marking his directorial debut. 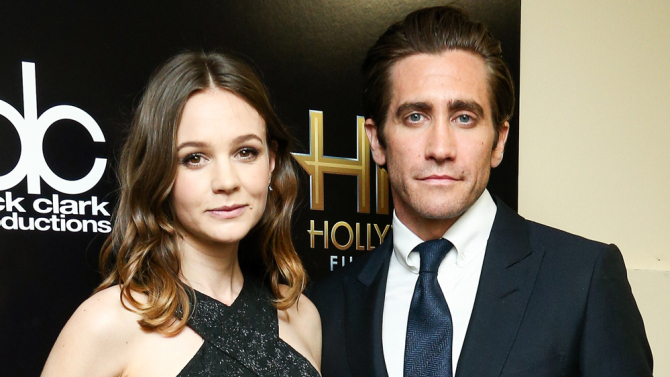 Academy Award® nominees Jake Gyllenhaal and Carey Mulligan are set to star in this period drama. Production will commence early November 2016. Wildlife, based on the 1990 Richard Ford novel, is co-written by Dano and Zoe Kazan and centers on the story of a teenage boy who witnesses the decay of his parents’ marriage after their move to Montana. Wildlife is produced by Andrew Duncan and Alex Saks for June Pictures, and Jake Gyllenhaal and Riva Marker for Nine Stories. Oren Moverman, Ann Ruark, and Dano will also produce, while Kazan and Eddie Vaisman are executive producing. WME Global handles the domestic rights to the film. “Paul is a natural born storyteller–a force. We are thrilled to collaborate with him and these phenomenal actors to bring his exquisite vision for this film to life,” stated Duncan and Saks from June Pictures. Gyllenhaal was nominated for an Academy Award and Screen Actors Guild Award in 2006 for his performance in Brokeback Mountain, for which he won the BAFTA for Best Supporting Actor. In 2015, he was nominated for a Golden Globe, Screen Actors Guild Award and BAFTA for his leading role in Nightcrawler. He can next be seen starring opposite Amy Adams in Tom Ford’s Nocturnal Animals scheduled to open November 18, 2016. He recently completed filming Bong Joon Ho’s Okja and is currently in production on Daniel Espinosa’s Life, which will be released by Sony in 2017. Through his Nine Stories shingle, Gyllenhaal produced David Gordon Green’s Stronger, in which he also stars. Stronger will be released by Lionsgate in 2017. He is repped by WME and Carlos Goodman at Bloom Hergott. Carey Mulligan was nominated for an Academy Award, Golden Globe and Screen Actors Guild Award in 2009 for her performance in An Education, for which she won the BAFTA for Best Leading Actress. Mulligan recently wrapped production on the film Mudbound. She most recently starred in Suffragette, released last fall to critical acclaim. Mulligan’s other film credits include Far from the Madding Crowd, Inside Llewyn Davis, The Great Gatsby, Shame and Never Let Me Go. Carey is repped by WME, Julian Belfrage Associates, Ziffren Brittenham and Relevant. Paul Dano was nominated for a Golden Globe in 2015 for his critically acclaimed performance as a young Brian Wilson in the film Love & Mercy. That same year, Dano starred in the powerfully acclaimed film Youth. Dano recently completed filming Bong Joon Ho’s Okja. Some of Dano’s film credits include: Swiss Army Man, 12 Years a Slave, Prisoners, Looper, There Will Be Blood for which Dano received a BAFTA nomination, Where the Wild Things Are, Little Miss Sunshine and Ruby Sparks. Wildlife will mark Dano’s feature film directorial debut. Dano is repped by WME, Anonymous Content, attorney Mitch Smelkinson and Relevant. June Pictures is a filmmaker-driven independent production company founded in 2016 by Chairman Andrew Duncan and CEO Alex Saks that produces and finances feature-length narrative and documentary films. They are currently in post-production on five titles including: The Florida Project, written and directed Sean Baker (Tangerine); and Fun Mom Diner, directed by Alethea Jones, starring Toni Collette, Bridget Everett, Katie Aselton and Molly Shannon. They are also in post for the psychological thriller Thoroughbred, written and directed by Cory Finley, starring Olivia Cooke, Anya Taylor-Joy and Anton Yelchin; and the dramatic comedy Dude, written and directed by Olivia Milch, starring Lucy Hale, Kathryn Prescott, Alexandra Shipp and Awkwafina. The fifth film is a feature length documentary about Hong Kong student activist and politician, Joshua Wong. June Pictures is based in Los Angeles. Nine Stories is a New-York based production company founded by Jake Gyllenhaal and Riva Marker in 2015. The company is dedicated to working with visionary storytellers in all fields and producing provocative and entertaining material. Nine Stories recently wrapped principal photography on David Gordon Green’s Stronger, which was shot on location in Boston. The film will be distributed by Lionsgate in 2017. Nine Stories is in development on a number of theatrical titles including Scandinavian author Jo Nesbo’s The Son which filmmaker Denis Villeneuve will direct, as well as Max Mermelstein’s violent cartel story The Man Who Made It Snow with Antoine Fuqua to helm. In television, the company is developing a scripted limited series for A&E centered on cults. Season One focuses on Jim Jones and the Jonestown massacre.